Hang on to your seats as the compelling season finale of the Emmy nominated series The Bay streams today, Tuesday, Dec. 30th. Shocked, stunned, and scrambling for answers, Bay City residents must put aside their grief as the long arm of the law takes hold. Making her debut in Chapter 14 Part 4, special guest star and Santa Barbara alum Judith McConnell appears in a surprise twist that will shake up the town’s elite! 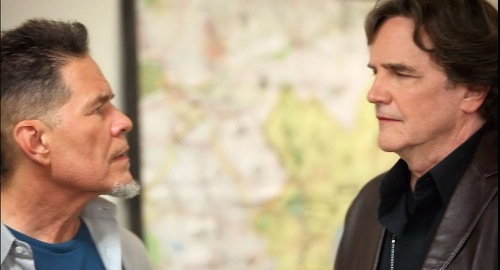 Although we are sad to see the season end, today's compelling season finale of THE BAY is sure to please. Hang on to your seats as the Emmy nominated series THE BAY streams today, Tuesday, Dec. 30th! Read with caution. Contains scoopage! Shocked, stunned, and scrambling for answers, Bay City residents must put aside their grief as the long arm of the law takes hold! Making her debut in Chapter 14 Part 4, special guest star and Santa Barbara alum Judith McConnell appears in a surprise twist that will shake up the town's elite! 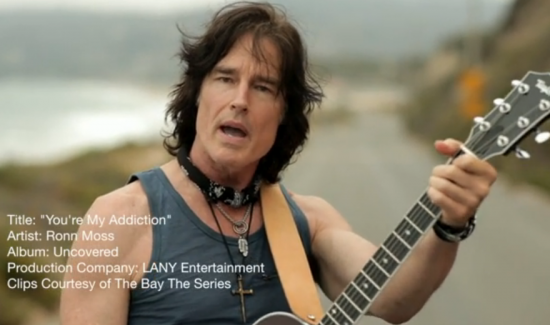 MICHAEL FAIRMAN ON AIR | ON SOAPS: Ronn Moss New Music Video “You’re My Addiction” Featuring The BAY’s Jeter! “You’re the pill I want to take, you’re the deal I want to make, you’re the only thing that matters in a habit I don’t want to break, and I don’t mind at all” is just one of the verses sung in Ronn Moss latest music video and tune, “You’re My Addiction”! Read MICHAEL FAIRMAN'S ON AIR | ON SOAPS article HERE. CELEBRATING SELMA—At the pre-Oscar screening and lunch at Maestro’s for the new film Selma, were (left) Beverly Hills composer/lyricist Carol Connors, and (right) Emmy- nominated The Bay’s Kira Reed Lorsch. They flank actor/musician Common, who plays non-violent civil rights leader James Bevel in the movie. The film, a co-production of Brad Pitt’s Plan B Entertainment and Oprah Winfrey’s Harpo Films, is helmed by Ava DuVernay and is already garnering awards buzz in advance of its Christmas Day release. All #Bayem breaks loose in the episode you don’t want to miss when Chapter 14 Part 3 of the Emmy-nominated The Bay streams today, Tuesday, Dec. 23rd. Bay City mourners are left reeling in shock by a series of unexpected twists and turns no one saw coming! The longest episode yet, today’s segment features a musical tribute performed by special guest star Ilene Kristen (Liza Garrett) who delivers an emotional rendition of “Flesh and Blood”, an original song which she wrote in collaboration with David Spinozza. SOAPDOM.COM: What wonders lie in store for denizens of The Bay this week? All #Bayhem breaks loose in Chapter 14 Part 3 of the Emmy-nominated THE BAY today, Tuesday, Dec. 23rd. The #Bayhem intensifies when Chapter 14 Part 2 of the Emmy-nominated The Bay streams today, Thursday Dec. 18th. Emotions run deep and tempers flare as Bay City residents continue to mourn the loss of one of their own. Special guest stars include Daytime icons A Martinez (Santa Barbara) and Ilene Kristen (One Life to Live) who reprises the role of Liza Garrett. Brace yourselves as the #Bayhem continues with an all new chapter of the Emmy-nominated The Bay streaming today, Tuesday December 16th. The emotional journey continues with Chapter 14 Part 1 when residents of Bay City prepare to say goodbye to a beloved family member. Special guests stars making their debut in the 25 minute episode include primetime and daytime stars Lindsay Hartley (Queens of Drama), Kiko Ellsworth (Port Charles) and Karrueche Tran (106 & Park). Gavin Houston (The Have and Have Nots) returns in the role of Tony Foster as Sandra Dee Robinson (Another World) reprises her role as Christine Nelson. SOAPDOM.COM: Baywatchers, it's a new episode of The Bay today! Brace yourselves as the #Bayhem continues with an all new chapter of the Emmy-nominated THE BAY streaming today, Tuesday Dec. 16th. The emotional journey continues with Chapter 14 Part 1 when residents of Bay City prepare to say goodbye to a beloved family member. Special guests stars making their debut in the 25 minute episode include primetime and daytime stars LINDSAY HARTLEY (Queens of Drama), KIKO ELLSWORTH (Port Charles) and KARRUECHE TRAN (106 & Park). GAVIN HOUSTON (The Have and Have Nots) returns in the role of Tony Foster as SANDRA DEE ROBINSON (Another World) reprises her role as Christine Nelson. Read the entire SOAPDOM.COM HERE. The Bay Chapter 13, Parts 3 and 4 debuted last week adding more mystery, suspense, and romance to the already scandalous lives of Bay City’s residents. If you aren’t watching the Emmy nominated series, you should be! The Bay may have just done something that network soaps used to do but would probably shy away from doing nowadays. They just killed off a core character for story reasons, setting off a major guessing game of who done it. I doubt this is the result of any contract negotiation gone sour or focus group comments. It’s probably the exact opposite. I think this choice was actively made knowing that the audience would care about this character’s death, knowing that this murder would set off a chain of events that have a major impact on the canvas and that would not soon be forgotten. It’s all about the #Bayhem when the longest episode yet of the Emmy-nominated The Bay streams today, Tuesday, December 9th. The plot thickens in Chapter 13 Part 3 when Bay City residents are met with danger, confrontations and gut-wrenching heartaches at every turn! WIREIMAGE: Intimate Private Screening & Press Conference For "The Bay Chapter 13"
Intimate Private Screening & Press Conference For "The Bay Chapter 13"
View WIREIMAGES' Intimate Private Screening & Press Conference For "The Bay Chapter 13" HERE. GETTY IMAGES: Intimate Private Screening & Press Conference For "The Bay"
View GETTYIMAGES photos of THE BAY Private Screening & Press Conference HERE. 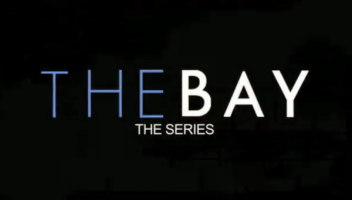 #Bayhem began today with the much-anticipated Chapter 13 Parts 1 & 2 of the Emmy-nominated The Bay. New faces join familiar favorites as Bay City residents continue to juggle lies, lust, scandals, and tragedy! What’s in store for Lianna Ramos (Jade Harlow) and Will Campbell (Derrell Whitt) now that their passion has ignited? Will Dr. Keith Campbell (Real Andrews) approve? Does Sara Garrett (Mary Beth Evans) suspect why her spunky niece Avery (Alicia Leigh Willis) and conniving nephew Daniel (Eric Nelsen) are in town? Will Janice Ramos (Lilly Melgar) follow her heart or her better judgment when surprised by her young lover Peter Garrett (Kristos Andrews)? 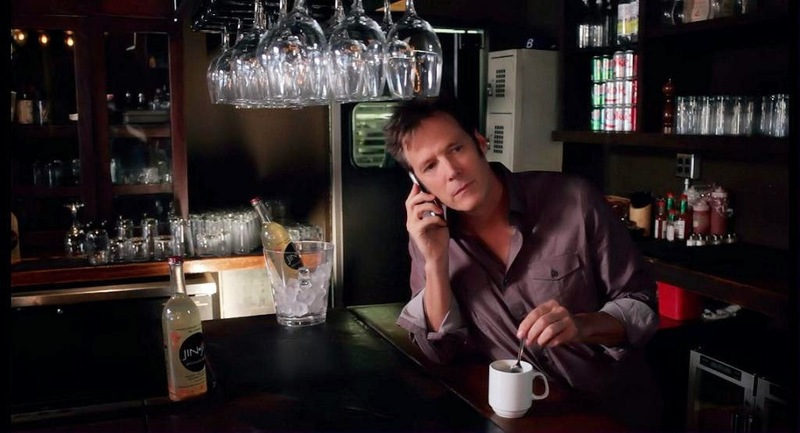 Is bartender Brad’s (Jason-Shane Scott) statement enough to help Det. 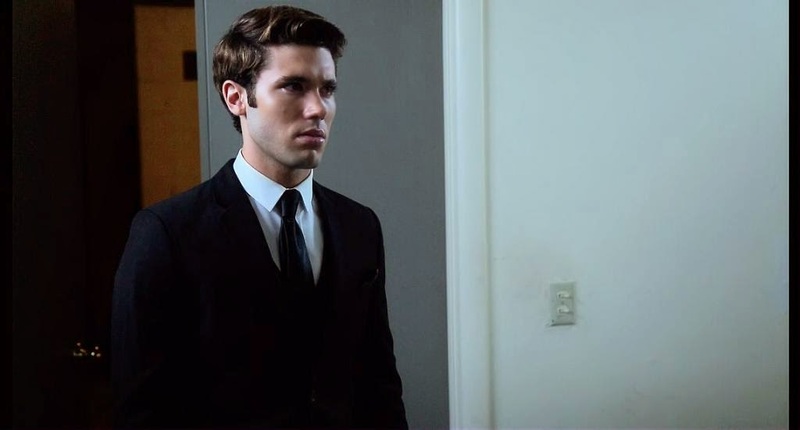 Mackenzie Johnson (Lane Davies) find his sister Zoey’s (Taylor Stanley) assailant? 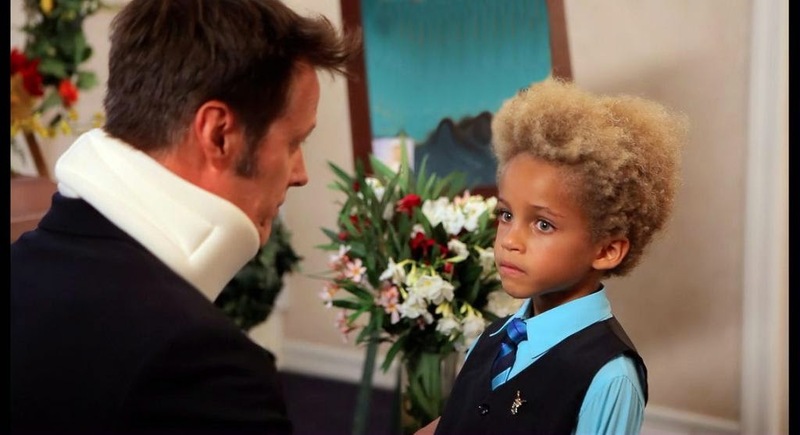 Does Mayor Jack Madison (Nicolas Coster) earn his wife Sofia’s (Jacklyn Zeman) trust? Or will he shed more than a tear for the seductive Orchid (Terri Ivens)? #Bayhem begins today when the much-anticipated Chapter 13 Parts 1 & 2 of the Emmy-nominated THE BAY stream this afternoon, Thursday, Dec. 4th at 3pm ET / 12pm PT. New faces join familiar favorites as Bay City residents deal with lies, lust, scandals, and tragedy! Read SOAPDOM.COM entire article HERE. MICHAEL FAIRMAN ON AIR | ON SOAPS: Alicia Leigh Willis, Eric Nelsen, Jason Shane Scott, and Eric Martsolf Make Their Debuts As THE BAY Returns With All-New Episodes! Trouble in Bay City? Oh, yeah! There are boatloads of it! The twisty and often times twisted web series from Gregori J Martin, The Bay, returns today with all-new episodes for its 13th Chapter! Beginning on Thursday’s throughout December The Bay will release new installments of the series with parts one and two of the latest chapter streaming now. Joining the cast of The Bay for these new episodes are former GH favorite Alicia Leigh Willis and AMC online revival star Eric Nelsen. The duo come to down as Sara Garrett’s (Mary Beth Evans) niece Avery, and her conniving nephew, Daniel! Read MICHAEL FAIRMAN'S entire article HERE. CBS SOAPS IN DEPTH: Spend Christmas With The Bay! Throughout December, the award-winning Web drama THE BAY will return with two more exciting chapters of story which will be told weekly over the course of eight 20-minute episodes. The chapters will feature another tragic death, as well as address last summer's cliffhangers. Read the entire CBS SOAPS IN DEPTH article HERE.